Hibs can leapfrog their Capital rivals Hearts with a win over Livingston tonight (Friday). Doing so would be a significant staging post in Paul Heckingbottom’s nascent tenure at Easter Road. 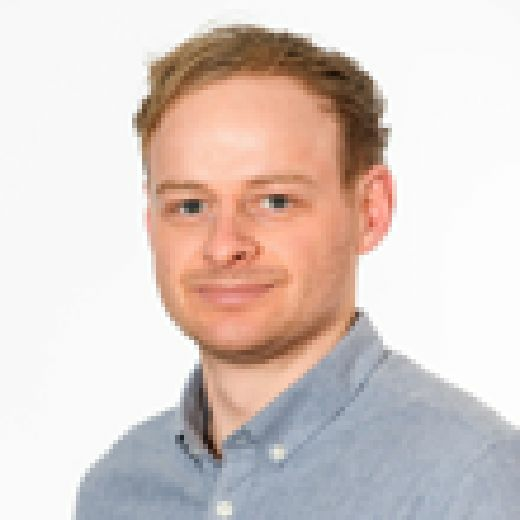 It would shine a brighter, more intense light on the transformation under the former Barnsley and Leeds United boss, and the work undertaken to pull the Easter Road side into the European discussion. To get a more rounded idea of the progress under the Englishman it requires hitting the rewind button, to the evening of 23 January to be precise. An insipid 1-0 loss at Motherwell saw Hibs in eighth place having won just twice in 14 league outings under Neil Lennon. The team were in a funk. A constant stream of knocks and niggles were robbing the Northern Irishman of arguably his best XI on a consistent basis, key individuals were underperforming and the summer recruitment was being questioned. There were also question marks over Lennon himself. Had his shtick run its course at Easter Road? There is little doubt regarding his success in Leith but there was certainly the argument that what Hibs, specifically the players, could do with was a different voice, a different delivery, a different personality. The Celtic boss is a demanding, irascible figure. In his first conversation with players as Hibs boss he told them in no uncertain terms that under him it would not be a democracy. There was plenty of speculation surrounding Lennon’s departure and the circumstances which led to it, but one thing which cannot be doubted is that it was the correct decision to part ways. In the eyes of some fans, and perhaps interim boss Eddie May, it took the club a bit too long to appoint his replacement with four games passing before Heckingbottom was announced. In the short sample size so far the wait was worth it. It is not an exact science but it is a familiar approach by football clubs that they appoint a manger who is, if not the antitheses of their predecessor, quite different. That is the case with Heckingbottom. Lennon is cantankerous, provocative and bombastic. There was an anarchy about the team and it was hugely entertaining. Heckingbottom is quieter, more measured and methodical. That is reflected in both his management and the team’s style. Hibs players have spoken of his in-depth analysis. Heckingbottom deals in the minutiae but delivers it in a way which is digestible for his players. With that, more time is spent on the tactical and organisational aspect of the team’s play. Under Lennon the team didn’t have a significant issue defensively but when the ball was lost they could look a bit disjointed. The new boss started with a preferred 4-4-2 system which requires plenty of drilling and training ground application to make it work. The defensive, midfield and attacking lines have to work in conjunction with one another to ensure that space is at a premium when possession is surrendered. It also asks a lot of the front two, to work from the front or fall into shape so the midfield are not overworked. 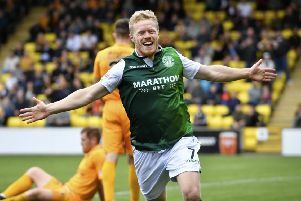 Wins arrived against Hamilton, Dundee and St Johnstone, but there were signs that Hibs still looked vulnerable in the transition from attack to defence. Across 120 minutes against Celtic in the Scottish Cup and Rangers at home in the league, Hibs really struggled. The formation was a hindrance rather than a help. Heckingbottom showed that he wasn’t wedded to the 4-4-2, altering his team, moving Florian Kamberi wide. It is a change which worked. The request for Kamberi to work in a wider role in support of the excellent Marc McNulty epitomises the change in mentality around the playing staff. The Swiss forward was the main target - unjust many felt - for criticism from Lennon and assistant Garry Parker. His transformation has been stark. Given both trust and responsibility by his new coach, he looks more willing, more confident and a bigger threat. Kamberi is one of eight players who have started all six games under Heckingbottom, while only three switches have been made to the starting lineup across those fixtures. In comparison, across the city, Craig Levein has made an average of just under three changes game-to-game in 2019. That consistency of selection has fed into the manager’s settled and serene style. The players know what to expect, on-field relationships can be developed. Even with Jonathan Spector signed and Ryan Gauld free from injury, Heckingbottom will likely pick 11 players from the core group of 12 for the trip to Livingston with Darren McGregor back from suspension. This steady guidance has propelled Hibs up the league table and has made a European place possible. When he arrived it was improbable. Four wins in an unbeaten run of five has seen the league change drastically from a Hibs point of view. Going into Heckingbottom’s first game in the middle of February - Hamilton at Easter Road - the club languished in eighth, 11 points behind Hearts, 14 from Aberdeen in third and five from sixth place. Now, they are sixth. Two points behind Hearts and within seven of third place. The swift, quiet, astute progress under Heckingbottom is a positive sign for the long-term prospects for Hibs under the Englishman. But in the meantime, the hunt is back on and Hearts are very much in sight.